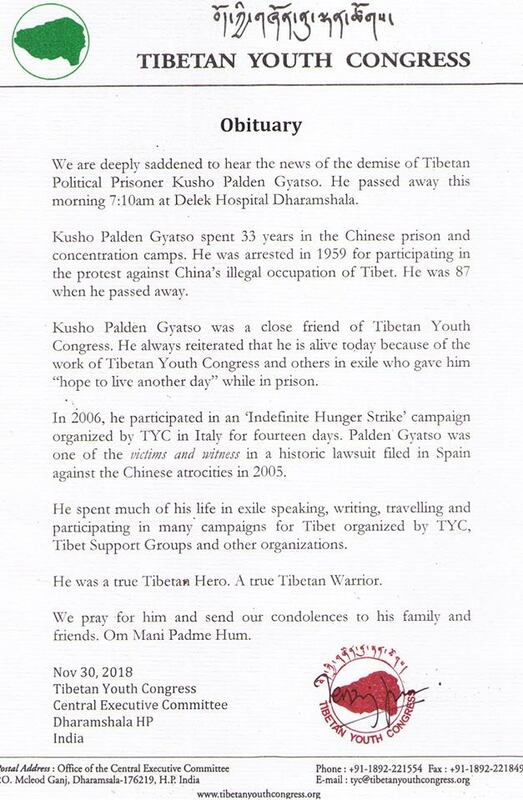 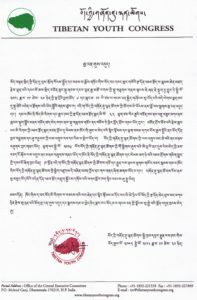 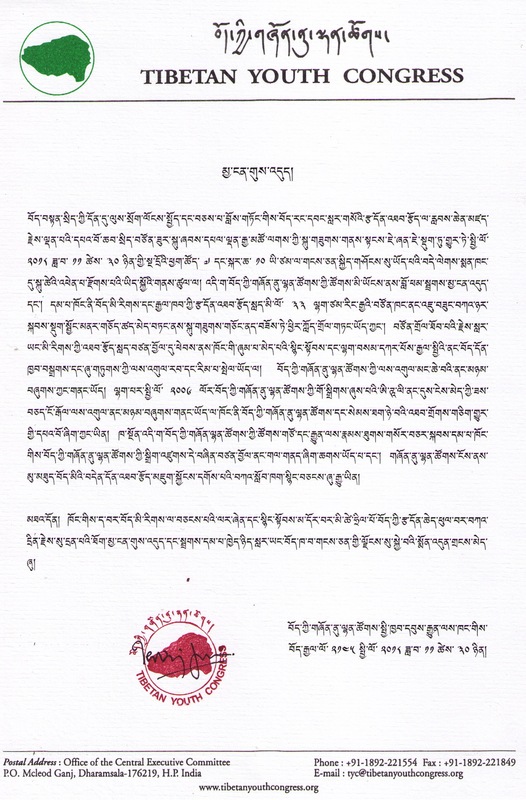 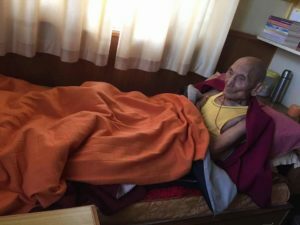 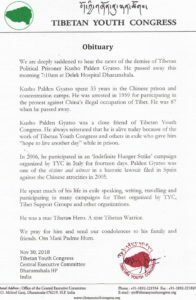 Tribute to Kusho Palden Gyatso. 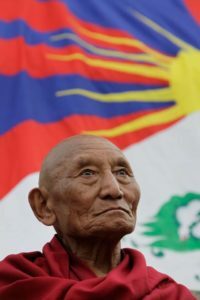 A true Tibetan Hero. 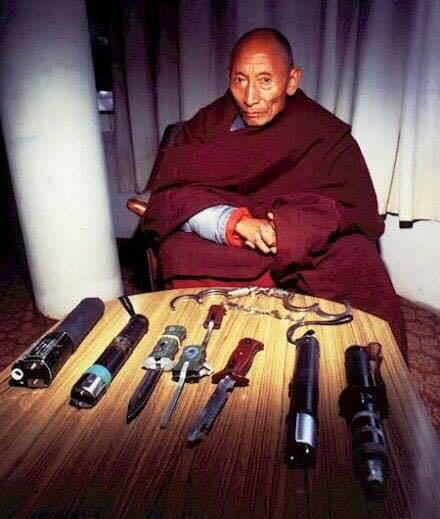 Kusho Palden Gyatso la displaying weapons of Torture. 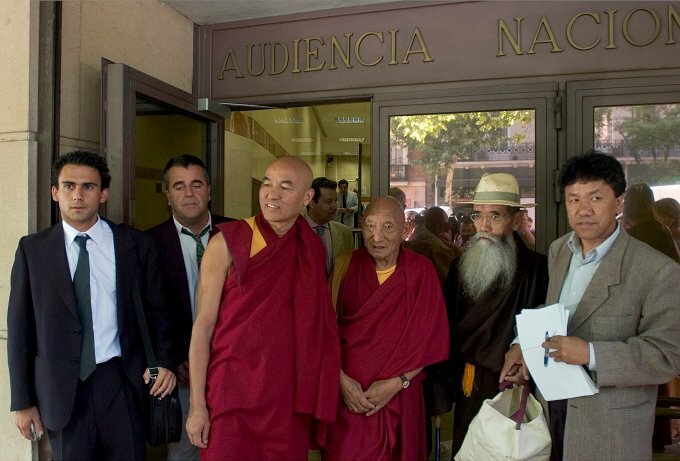 At the door of the Spanish National Court, Audiencia Nacional, after submitting the first lawsuit, 28 June 2005. 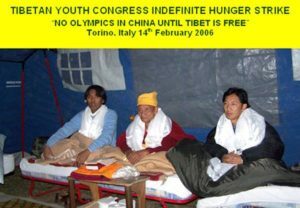 From left to right: Thubten Wangchen (co-plaintiff and witness), Palden Gyatso (victim and witness), Takna Jigme Sangpo (victim and witness on both lawsuits), Kalsang Phuntsok,(ex-president of Tibetan Youth Congress TYC. 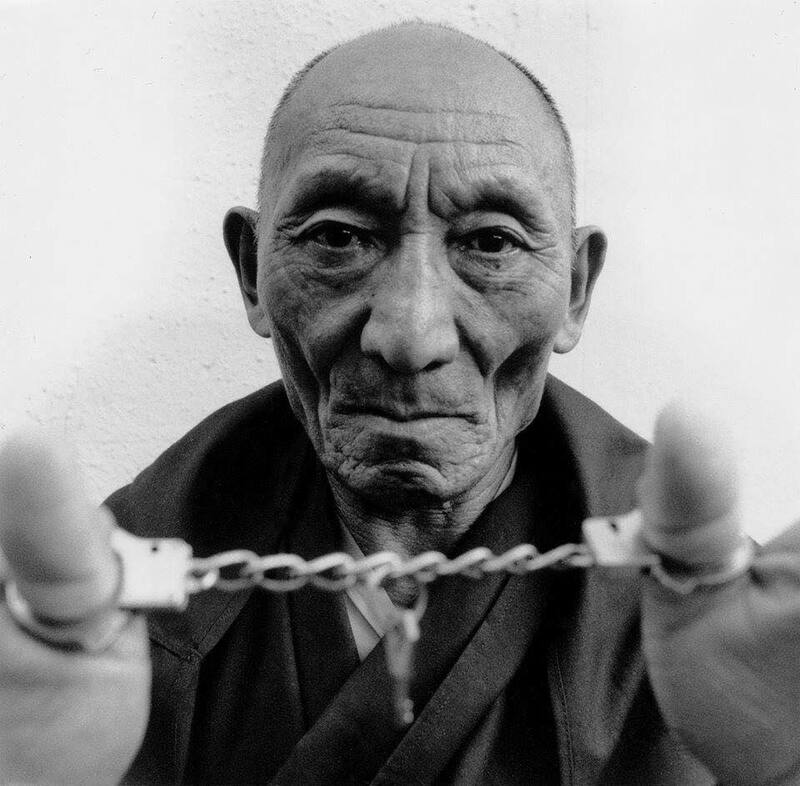 Photo © by Carlos Sanchez for CAT. 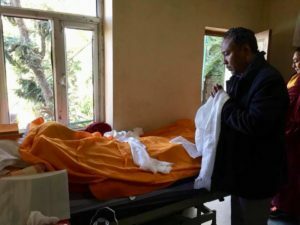 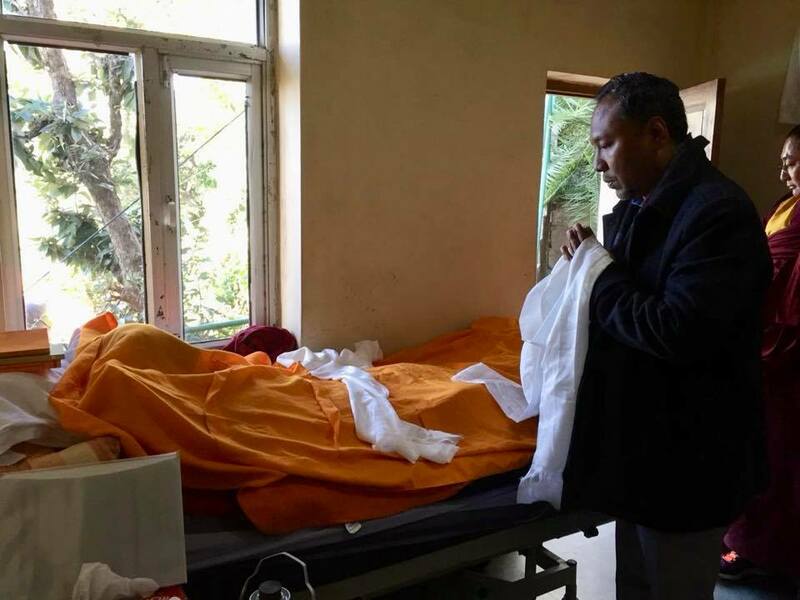 TYC President pays respects to Kusho Palden Gyatso at Delek Hospital this morning.